I got the binding on my two granny square baby quilts. 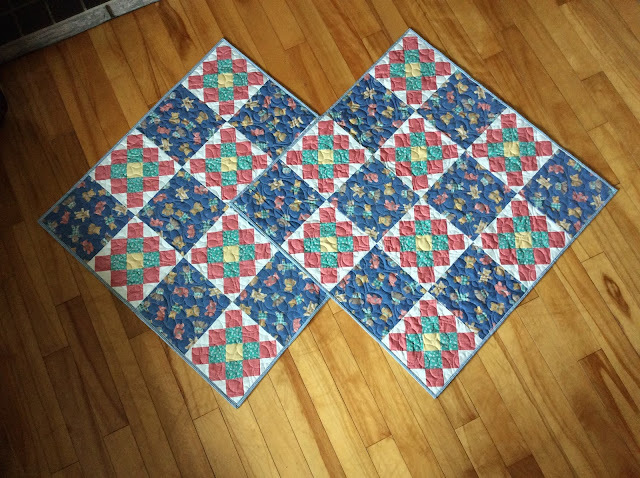 These will both be given to Mayflower Quilting Guild as Comfort Quilts and will go to one of several charities the Guild supports. 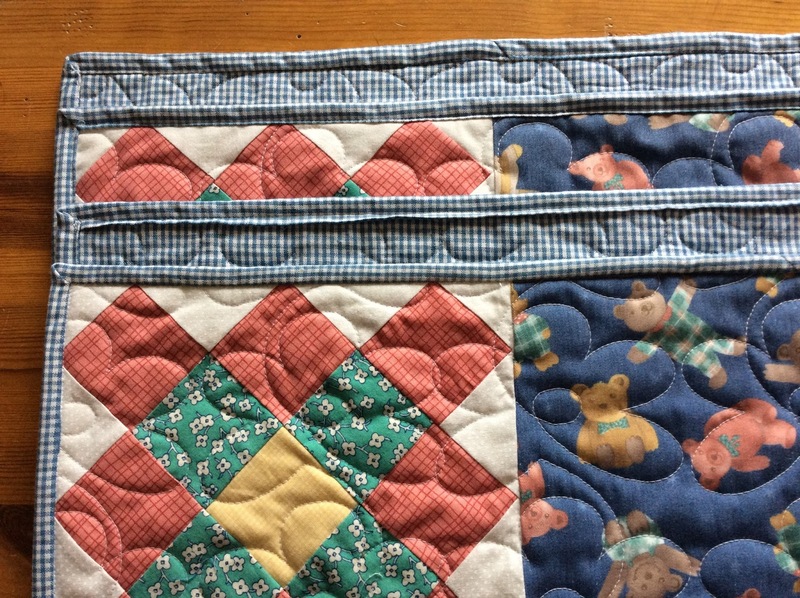 I chose to bind the top quilt by sewing the binding to the front and then flipping it to the back and stitching in the ditch beside the binding from the front to catch it on the back. For the second quilt I sewed the binding on the back and then flipped it to the front and sewed as close to the edge of the binding as I could on the front through all the layers. I think I prefer the look of the first method, what do you think? 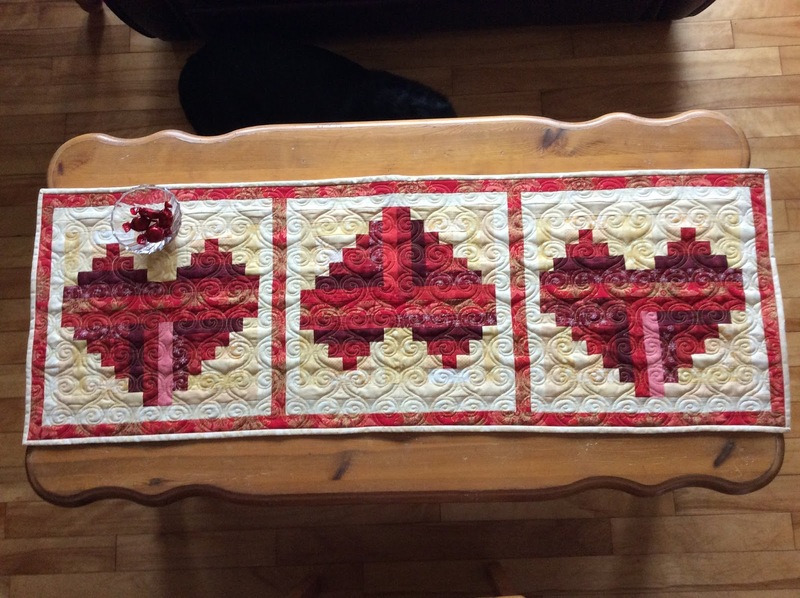 I also quilted and bound my heart log cabin table runner. 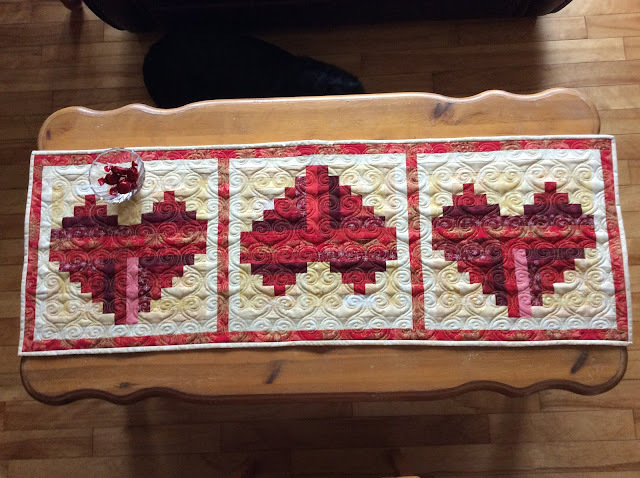 I used Brandon Smythe's Nesting Hearts pantograph. Now I'm ready to decorate for Valentine's Day! 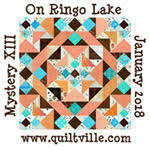 This will be my first time linking to Amanda Jean at Crazy Mom Quilts on Finish it up Friday! I have been reading your blog and enjoying it. The colors you choose are the kinds I like! It was the first time I used that panto, but I liked it too and will use it again. Welcome to Fridays! I try to never miss reading. You know, I typically choose your first binding method, but seeing yours side by side like this, I will try the second. It looks much nicer on the front. I have been reading every Friday for quite some time too.